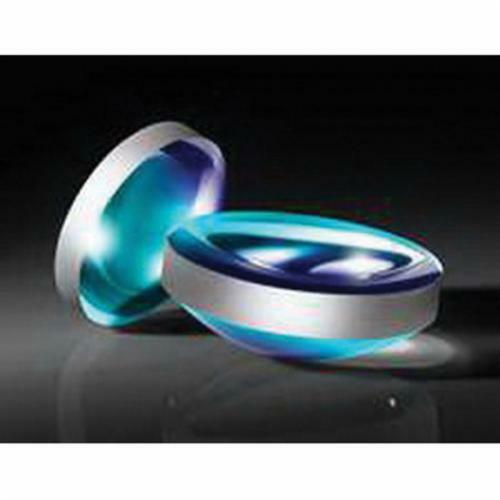 TECHSPEC® Precision Aspheric Lenses are designed to focus light while eliminating spherical aberration from divergent light sources in applications including focusing the output of a laser diode. Aspheric lenses can increase the numerical aperture of a lens while minimizing system aberrations. Aspheric lenses may also reduce the number of elements needed in a multi-element system. Aspheric lenses can reduce overall system weight while providing advantages such as increasing throughput or simplifying assembly. TECHSPEC Precision Aspheric Lenses feature low for optimum light gathering performance. Prescription data is available to easily integrate these aspheric lenses into an optical system. These lenses have also been computer optimized to eliminate spherical aberration while minimizing higher order aberrations. VIS coating option provides less than 1.5% reflection from 425 to 675 nm. NIR coating option provides less than 1.5% reflection from 600 to 1050 nm. Contact our sales department for volume pricing or for help specifying a custom aspheric lens.